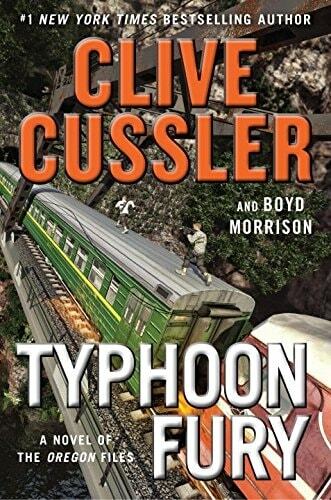 We were really excited when Clive Cussler picked Justin Scott to co-author the Isaac Bell series, and here we are with the fifth book already. 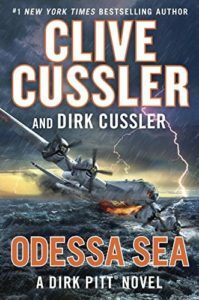 First, Clive thrilled us with Bell and the Van Dorn Detective Agency in THE CHASE, and then the Cussler-Scott duo brought us THE WRECKER, THE SPY and THE RACE. Now, in THE THIEF, we are thrilled as Isaac Bell once again beats back the bad guys, and rescues the world from certain doom. Norwood Press will issue their trademark collectors editions (signed, lettered/numbered, slipcased), and we are offering those along with double-signed US and UK editions. Those who preorder the Norwood Press numbered edition will receive a double-signed US hardcover absolutely free! Also, please check out below the Pegasus release of Justin’s classic, THE SHIPKILLER. Norwood Press has just announced that they will produce special editions of this title in June. Those of you who preorder the Norwood Press numbered edition of this title will also receive the Pegasus edition at no additional charge. Cussler Crazies rejoice . . . this is a great year! All of our favorites, Isaac Bell, Juan Cabrillo, Kurt Austin, and, of course, Dirk Pitt will be in the mix.
. . . And please watch Norwood Press for an upcoming announcement about Grant Blackwood.